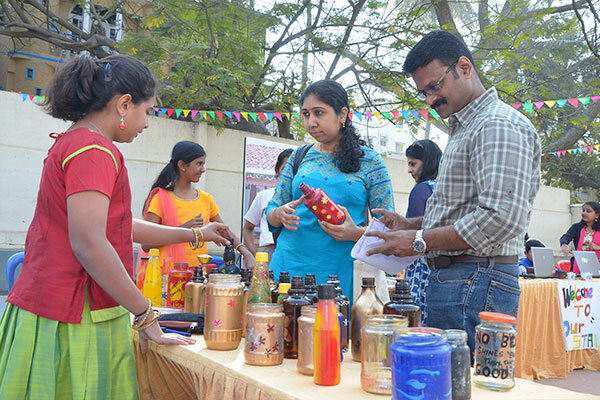 NPS Rajajinagar wore a very rustic look on Saturday, 27th January. 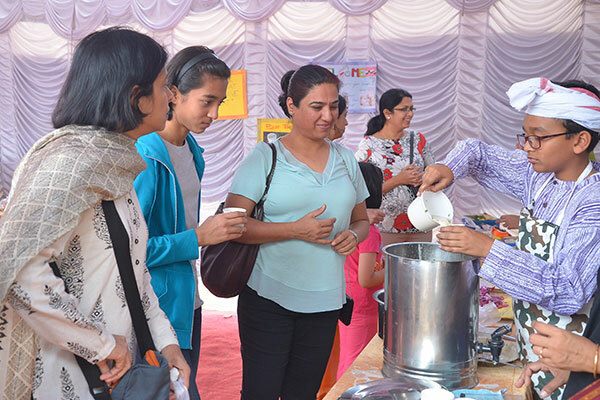 The entire grounds were transformed into a typical village, complete with a market place, post office and numerous stalls selling hand crafted products and a food court dishing out lip-smacking chaat, thirst quenchers and other delicious snacks and sweets to enthusiastic visitors comprising parents, grandparents, relatives, friends and well-wishers. 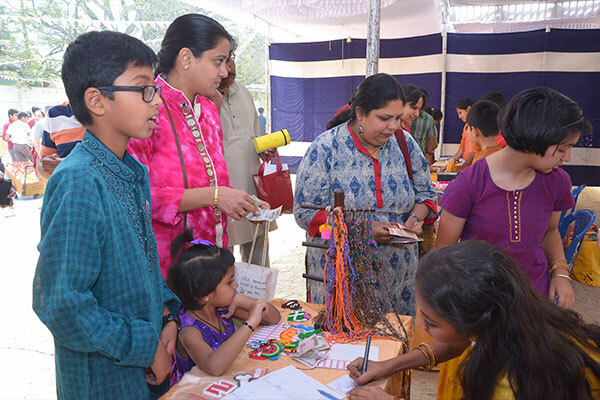 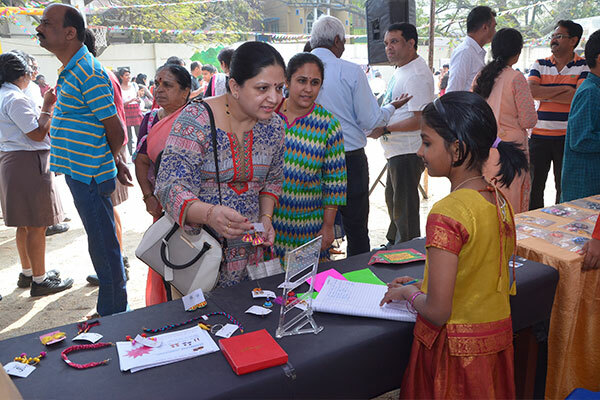 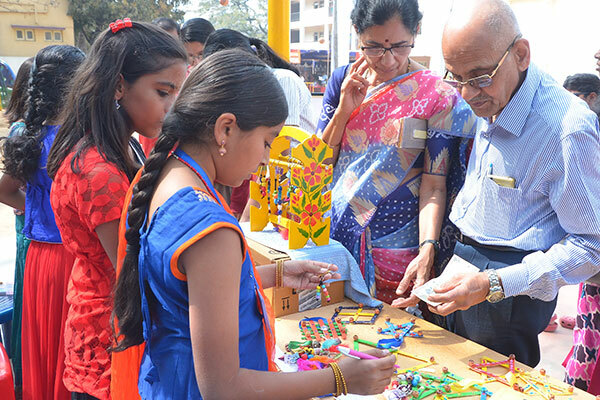 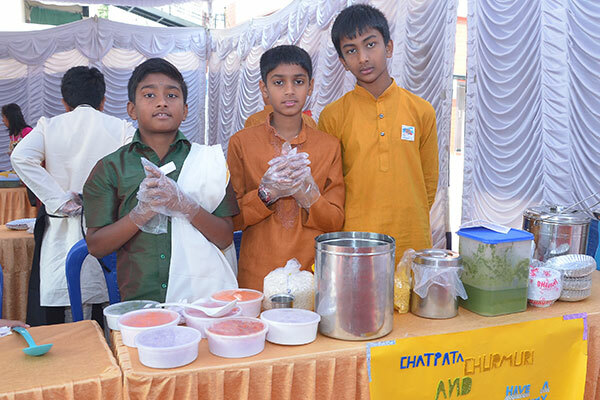 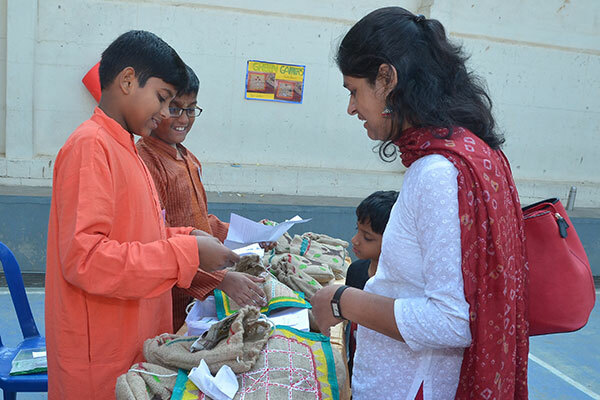 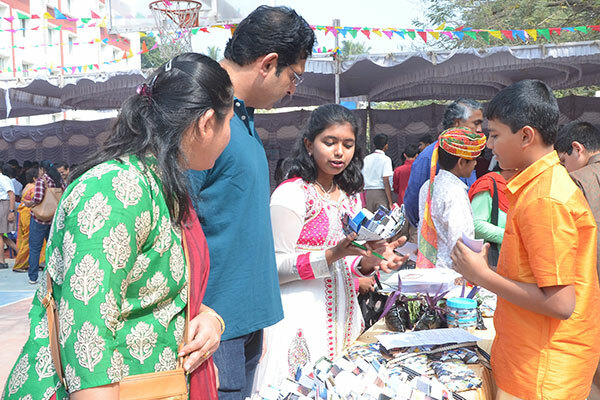 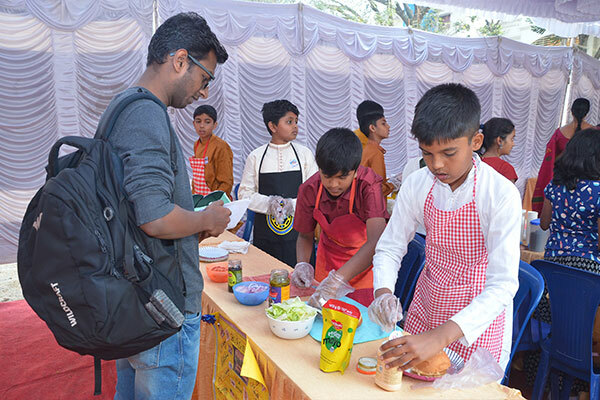 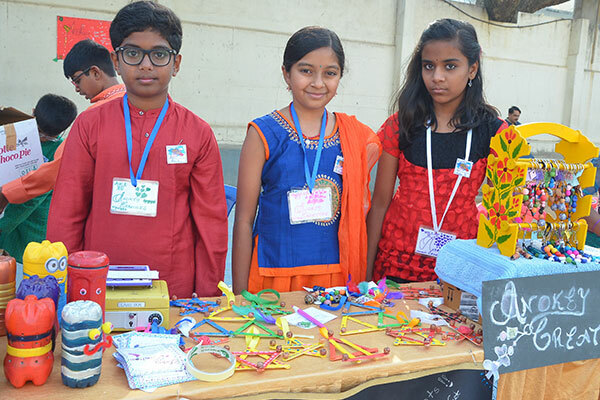 Thus the Young Entrepreneur Program culminated with the colourful and festive Market Day which demonstrated the skill, expertise and strategy of creating and selling products with limited capital by the 6th Graders. 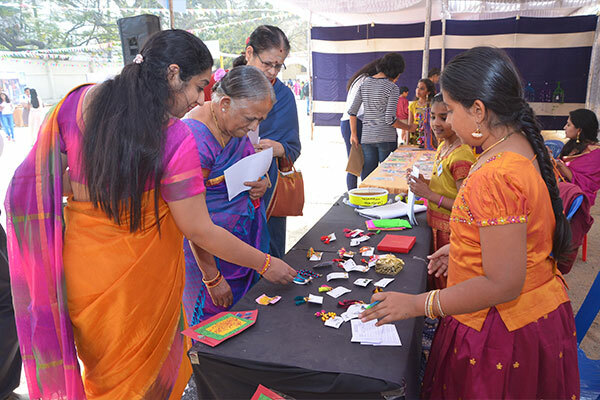 The ambience was further heightened with Minute-to-Win-it games that added to the fun. 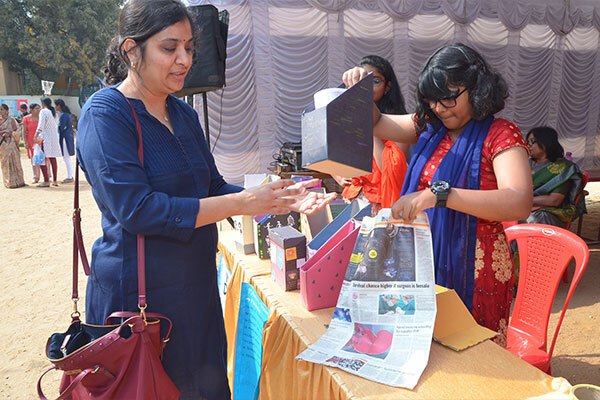 This was indeed a very memorable day for the students and their mentors, more so, as the proceeds from the sale of all the items would be donated to a worthy cause as part of the community service programme of the school.